Winter weather has returned to the D.C. region, meaning it's time to remember how to keep you, your family and your neighbors safe and warm. You already know that eating healthfully in the winter is important to fend off colds and the flu, but did you know it might help keep you warm, too? Eating extra healthy fats during the winter can help rev up metabolism, which in turn heats the body, according to Columbia Health. If your New Year's resolution was to drop a few pounds, don't worry -- you can always skip the extra fat and try eating warmer foods and drinks. 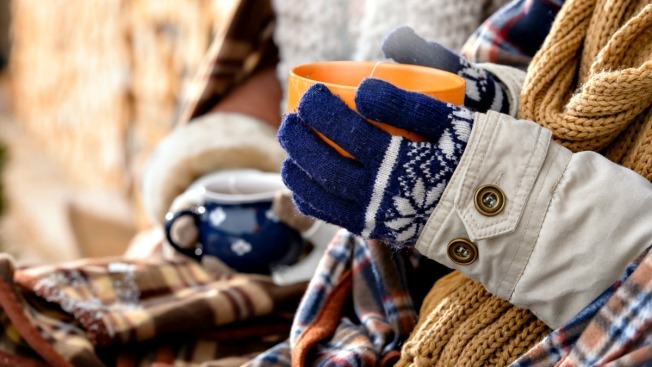 Try soups, spicy foods, hot coffee and teas to fend off the chill! Always remember to bring pets inside when temperatures begin to drop. If you have or know of animals that can't come inside (such as farm animals or neighborhood feral cats that you care for), provide enough bedding and insulated shelter for them to keep warm. If temperatures are below freezing, remember to check their water and replace it if it has frozen. Now that you know the terms, check NBC Washington's weather alert page for the latest on weather alerts in your area. Although the trackers are not live, they do update frequently. Find them here. In D.C., the general public may request assistance for individuals who are homeless by calling the shelter hotline or e-mailing uposh@upo.org. Email reports should include the time when the person was seen, their specific location and a description of the person's appearance. You can find a list of warming centers and emergency shelters for the homeless in Prince George's County online here. It's the time of year when schools begin to close for inclement weather! Check NBC Washington's list of school closures and delays for the latest on schedule changes. Follow the entire Storm Team 4 team on Facebook for the latest on weather conditions. Keeping up to date with the latest weather information is a great way to stay safe and help those around you. You can also sign up for weather alerts in the NBC Washington app. This article was originally published in January 2015 and has been periodically updated.